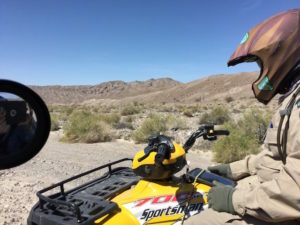 An exciting project that is just beginning is a restoration grant provided by the State of California Off-Highway Motor Vehicle Recreation Division Grants Program. 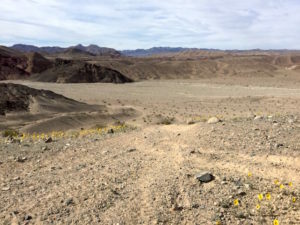 It is with great pride that the Conservancy can claim a vigorously active role in getting a section of the Amargosa River designated as Wild and Scenic. But good work begets more good work and now we are working to make sure that section is protected from motor vehicle recreators. As the Amargosa River runs south from the China Ranch area it meets up with Sperry Wash and they join and continue through, slightly north of the Dumont Dunes Open Area. 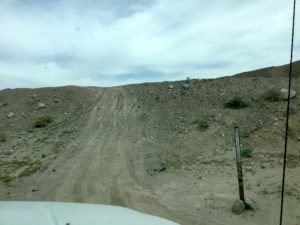 For the off-highway vehicle (OHV) folks who wish to see some country a little bit removed from the dunes they can travel up Sperry Wash Road, BLM route AR0412, and connect with the talc mine roads behind Tecopa. 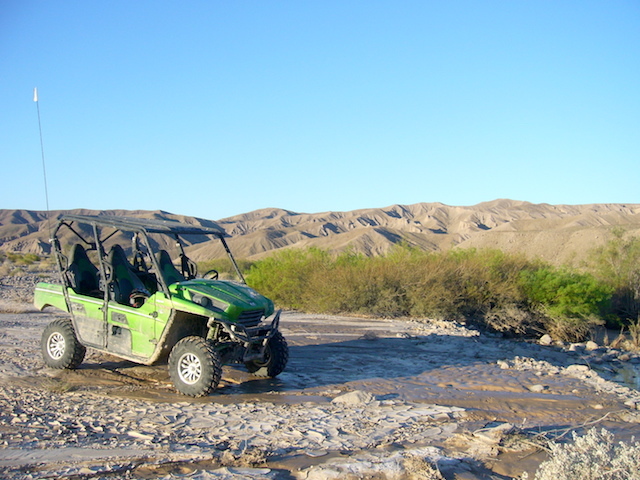 However, some folks have blazed their own trails off of AR0412 into the Wild and Scenic portion of the Amargosa River and into the Kingston Wilderness which boarders the designed route, AR0412. The Conservancy has been strategizing with the BLM to restore the damaged areas off-route and provide post and cable barriers to prevent future incursions, as well as place interpretative signs and maps so recreators know where they are and how they can play a part in making sure the next generation has access to the same opportunities we have now. This project will have folks in the field this fall!